"Holy double-take, Robin!" Jack - our very own bent-knee 8" hero - dons the official Batman™ 8" outfit to become the Caped Crusader, or Dark Knight, or The Bat depending on how you care to refer to him. 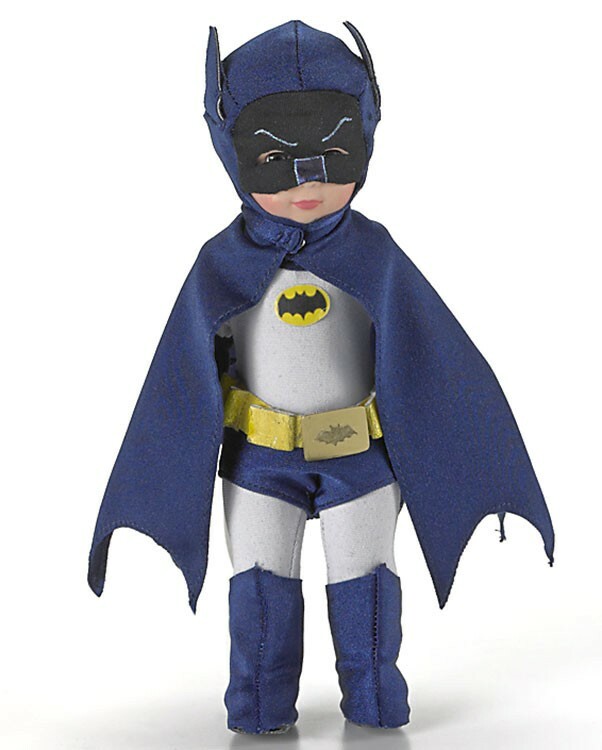 Jack wears his midnight-blue bat-eared hood/mask, cape, and boots over a silver bodysuit emblazoned at chest with the Batman insignia. Buckled around his waist is a golden bat belt in which he can store the amazing tools of his trade. Batmobile and Robin not included. TM and ©DC Comics All Right Reserved. Condition: NEW - MIB. We are a smoke free establishment.